One very influential connection made between Europe and China in ancient periods was the so-called Silk Road. While this did not mean a specific road across long periods, it did represent a network of routes that connected much of the Old World between Europe and China for roughly 1500 years and brought about profound technical and cultural changes that had global ramifications. By the 4th millennium BC, Central Asia had begun to play an important role in trade to the ancient Near East. Lapis Lazuli, semi-precious stones, and tin by the 3rd millennium BC made the region’s resources attractive to Egypt, Mesopotamia, and Anatolia. By the 2nd millennium BC, we also see eastern China interacting with western China and Central Asia more so, with objects such as jade being in high demand. However, much of the trade contacts between the Near East, Europe, and China were very limited. When objects did exchange between distant regions it tended to be traded indirectly by being trade to one state or region, then that region would trade it further down to another region. This made regions in Europe, China, and Near East much less aware of each other. The primary reason for this state was much of Asia was politically fragmented. For example, to trade Lapis Lazuli from Central Asia to places such as Mesopotamia, in modern Iraq and Syria, trade would often have to go south to India, then by boat shipped to Mesopotamia along the Indian Ocean and the Persian Gulf. Overland routes were possible but many tribes and small states prevented easier access of lapis by the large urban societies. This made direct trade both expensive and difficult at times between far away states. The Silk Road, in many respects, develops more substantially during the Achaemenid (550-330 BC) period. At this time, the Near East began to witness more long-lasting empires, providing greater trade stability throughout the region. While this began with the Neo-Assyrians (911-612 BC), the Achaemenids were able to hold much larger territory, covering Egypt, Anatolia, Mesopotamia, the Levant, Persia, and parts of Central Asia, for almost the entire period in which they were in power. This long period of stability allowed the Achaemenids to develop long-distance roads, including the Royal Road that connected ancient Susa in Iran with Lydia in western Anatolia. Such roads were possible not because of any major technical achievement but because much of the region was now part of one overarching state. This then began a long period of more direct thriving trade between the Greek world, the Near East, and Central Asia. Movements between these regions were now possible without having to cross many states. With the expansion of Alexander the Great’s empire to India and Central Asia, the Greeks became more aware of the riches of the East. Contacts between China and the Hellenistic world were likely made at this time, with Alexander having established the city of Alexandria Eschate (or Alexander the Farthest) that became an important trading city along the emerging Silk Road. By the 3rd and 2nd centuries BC, the Greco-Bactrian and Indo-Greek kingdoms were established, further promoting contacts between Greek, Indian, and Central Asian cultures. However, formal establishment of the Silk Road can be argued to have begun under Parthian (247 BC-224 AD) leadership. We know that Mithridates II (121-91 BC) is the first known Near Eastern king to have established political and diplomatic relations with a Chinese ruler, to whom the Parthian king sent an ambassador. This act paved the way for the establishment of long-distance trade contacts with China and created the long-term basis for the Silk Road along which silk was traded from China up to the Mediterranean, crossing Parthian lands. This made the Parthians key actors in the trade. What is significant is even in times of major conflicts, such as between Rome and the Parthians, trade was not as easily disrupted as it had been in earlier periods. This begins to show the importance of wealth and financial power traders had in maintaining strong trade ties despite volatile political conditions. In fact, it was not just land routes across Asia that thrived but sea trade across the Old World also thrived. During the Roman period, we begin to see wealthy Romans now having regular access to objects coming from China or Central Asia. Along with products such as incense (i.e. frankincense and myrrh) from southern Arabia, silk began to be the major commodity of desire by wealthy citizens. By the 5th century AD, with the decline of the Roman Empire, demand in Europe for Chinese silk and products declined. However, it continued to thrive in the Near East; in fact, for most of the history of the Silk Road it was the Near East empires, starting from the Parthians, and continuing to the Islamic empires that had a dominant role in facilitating trade along the Silk Road, which was to have a major effect on European thinking in later periods. Nevertheless, commodities and technologies such as gunpowder, paper, and the magnetic compass from China made their way to the Near East in the Middle Ages and then were transferred to Europe. Chinese porcelain ceramics also became influential and were imitated both in Europe and the Near East. It was not just trade of technologies or commodities that made the Silk Road important but it was major motivations for exploration and exchange of ideas that made the Silk Road influential. Religions such as Islam and Buddhism expanded along parts of the Silk Road and facilitated these religions in reaching China and Eastern Asia. In Europe, with the beginning of the Renaissance, greater desire for luxury items from China once again reached levels seen during the Roman period. At this time, however, there was a realization that much of the trade was controlled by the Islamic states, including the rising Ottomans. The desire to reach China and its riches motivated Europeans to find alternative routes, leading to the exploration of the New World. In effect, the discoveries by Columbus and later explorers in the 15th and 16th centuries were a reaction against the control of trade by Islamic powers in the Near East and Central Asia. With the discovery of the New World, Europe now had a unique source of wealth that was less dependent on other regions controlling trade. This led to the large-scale growth of economic power in Europe and allowed it to reach major technical advantages by the early modern period in the 17th and 18th centuries. 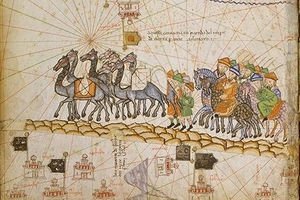 In effect, one can argue it was the Silk Road that motivated Europe to seek new access to the riches of trade with the East. That motivated early explorers to make new discoveries that paved the way for the rise of European powers to become dominant political actors across the world over the last four centuries. This, along with the technical achievements and ideas that spread along the Silk Road, had a lasting and profound effect on world history and shaping our modern world. ↑ For information on trade objects between Central Asia, Mesopotamia, Anatolia, and Egypt, see: Boyle, Katie, Colin Renfrew, and Marsha Levine, eds. 2002. Ancient Interactions: East and West in Eurasia. McDonald Institute Monographs. Cambridge: McDonald Institute for Archaeological Research. ↑ For information on China’s interest in Jade, see: Fossati, Gildo. 1994. The World of Jade: Great Masterpieces of Chinese Art. New York: Crescent Books. ↑ For information on trade in the Near East and Central Asia in the Bronze Age, see: Mair, Victor H., Jane Hickman, and University of Pennsylvania, eds. 2014. Reconfiguring the Silk Road: New Research on East-West Exchange in Antiquity. Philadelphia, PA: University of Pennsylvania Museum of Archaeology and Anthropology, pg. 7. ↑ For information regarding the Achaemenids, their control of the Near East and trade, see: Daryaee, Touraj, ed. 2012. The Oxford Handbook of Iranian History. Oxford Handbooks. Oxford ; New York: Oxford University Press. ↑ For more information on Alexander’s interactions with Eastern cultures, see: Bosworth, A. B. 1998. Alexander and the East: The Tragedy of Triumph. Oxford: Oxford University Press. ↑ For information on Hellenistic-influenced kingdoms in Central Asia, see: Bactrian and Indian Hellenistic Dynasties: Greco-Bactrian Kings, Indo-Greek Kings, Demetrius I of Bactria, Euthydemus I, Diodotus I. Memphis: LLC Books. 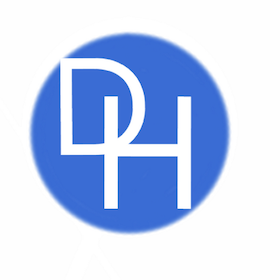 ↑ For more information on the relevance of the diplomatic connections between Parthia and China to the Silk Road, see: Edwards, Chris. 2015. Connecting the Dots in World History, a Teacher’s Literacy-Based Curriculum. Lanham: Rowman & Littlefield, pg. 90. ↑ For information during the Roman period with the East, see: McLaughlin, Raoul. 2010. Rome and the Distant East: Trade Routes to the Ancient Lands of Arabia, India and China. London ; New York: Continuum. ↑ For information about the silk trade during the Roman period, see: The Roman Empire and the Silk Routes The Ancient World Economy and the Empires of Parthia, Central Asia and Han China. 2015. Pen & Sword. ↑ For information about key technologies that were traded along the Silk Road, see: Christensen, Bonnie. 2013. A Single Pebble: A Story of the Silk Road. First edition. New York: Roaring Brook Press. ↑ For information on Islam expanding along the Silk Road, see: Elverskog, Johan. 2010. Buddhism and Islam on the Silk Road. Philadelphia: University of Pennsylvania Press, http://ezproxy.viu.ca/login?url=http://muse.jhu.edu/books/9780812205312/.